This is the most picky system I have ever tried to overclock. I can boot the system no problem @ 4GHz, yet I can't even get it to run LinX @ 3.2GHz for more than a few seconds w/o locking up. It will run 200bclk x 13 w/ 1.35Vcore, 1.35vtt stable as a rock. But taking it anything higher than 3.GHz will fail LinX. I've tried voltages as high as 1.5Vcore. I've tried increasing the Vtt, the PCH, the CPU pll, and the PCIe and nothing really helps. Temps aren't the issue as it is under water. I have a hard time believing that it isn't anymore stable @ 3.2GHz than 4GHz. 4GB Corsair Dominator @ 9-9-9-24 1.66V, 1600MHz. The issue is that besides ITX boards I can't fit any other MATX boards besides this one. They are all too wide. So unless someone can recommend a better ITX board than this I am stuch w/ what I have. perfect choice then. and 3.2 from stock 3.5 is not bad. just in case, hook it up to a beefier psu, change gpu. because of the oc on the cpu, you need massive airflow over the power circuitry area. Pretty sure I do not need a beefier PSU. I doubt it is even pulling 200w from the wall. And I also have a medium speed 120mm blowing over the mainboard. 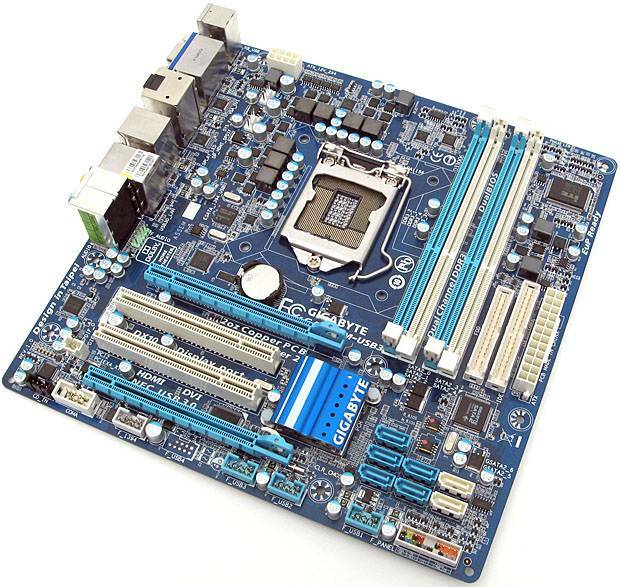 I am going to try to see if i can find a slimmer radiator then try another motherboard to see if it solves my issues. Isnt that a hyperthreaded quad? If so im pretty sure its pulling a good load when you prime it no? It does have hyperthreading. The whole system is pulling 500w from the wall. But the 16 HDD's have their own power supplies, which is about 200W. So still far below what the powr supply is capable of and I've had it on far stronger loads than this. actually, lets do the math. 420W Seasonic : not sure which model you have, i'm guessing around 380 watts on the 12v rail? That seasonic should be fine, but ya what you said is exactly what I was thinking. Power Supply isn't a problem in this case, I've got a 450w running a 470 and an i7 860. Sounds like a dumb question but why are you using such a low multi or is that the highest it can go? Try lowering the vcore while increasing the VTT(I think it was this, been a while since I oc'd my own p55) Some boards seem to oc better with high VTT and a much lower vcore.